Mouse over the "Members" tab and then click "Add Members". 4. Finally, search a user by typing their name or email address and add him/her by clicking on his/her name and then "Confirm". Can't find the person you are looking for? 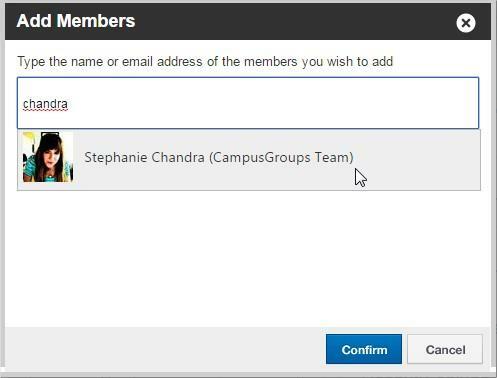 Please contact support@campusgroups.com.